In the healthcare industry, there are many important aspects to consider, such as following regulations, providing excellent care, and handling costs of operations. However, there is another aspect that is of the utmost importance because it is connected to every part of healthcare-related business: patient experience. Patient experience is at the core of who every healthcare provider is and what they do, and it is essential for offering quality care and making patients happy through positive experiences. 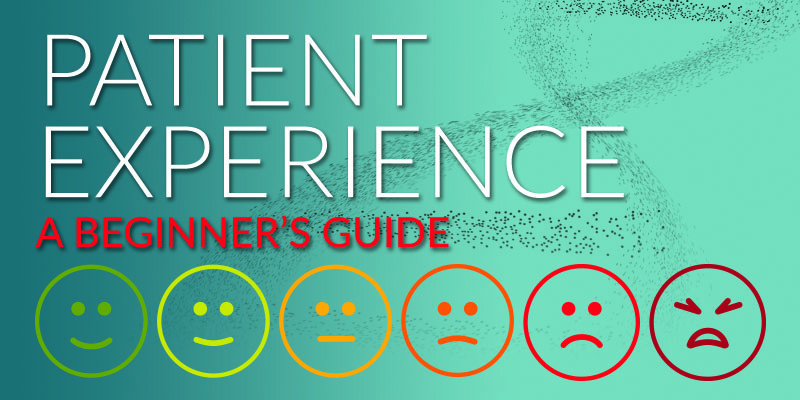 The patient experience isn’t as simple as having courteous staff or a comfortable waiting room. While those are important aspects, improving patient experience is dependent on every aspect from web to billing. Each interaction a patient has with a care provider, whether it’s in an examination room or on their website, contributes to the patient’s experience and their opinion of their provider. Therefore, every aspect of a provider’s business should reflect the goal of creating a positive patient experience. Creating a negative experience for patients is, of course, not the goal of any healthcare provider, but too often that is unintentionally done, which adversely affects both patients and providers. Through gathering data and conducting research, our team at PatientX has identified four areas of common complaints amongst patients. Patients are unhappy with the amount of time they have to wait before seeing their doctor; they feel misunderstood and unheard by their doctor, and, as a result, they don’t receive helpful resources; and patients are regularly confused by the medical billing process. Although this list is relatively short in length, the healthcare industry can make major strides in providing better service and experiences for patients by affecting change in these areas. If the healthcare industry focuses on finding solutions to the most common patient grievances, those issues can become less common, and the patient experience will be improved. As is natural, patients want to feel like their time is being valued. It should come as no surprise, therefore, that one of the most common patient complaints deals with waiting times. Healthcare providers can make patients feel like their time is important by implementing a few strategies to cut down on that amount of time. 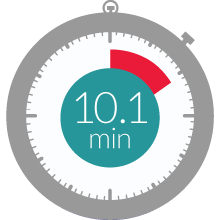 First, wait times can be cut down by gathering a patient’s necessary information before they show up for their appointment, as doing so reduces time wasted filling out forms. Time can also be saved by using mobile queue technologies. Having such systems in place lets patients confirm their appointments and check-in more quickly. Mobile queue technologies can also be used to communicate how long they can expect to wait, or notify them if their appointment has been changed. The third and, perhaps, most important solution reducing wait times is to make timeliness part of your healthcare team’s culture. Your entire team should be focused on finding ways to be more efficient in their work, that way solutions can be implemented that better serve your patients by respecting their time. The second common patient complaint is feeling misunderstood and unheard. Just as they want their time to be valued by their care providers, patients want to feel respected and understood. Misunderstanding patients is not conducive to providing quality care, so providers should practice active listening skills. Physicians, as well as all other staff members of a healthcare facility, should be encouraged to look patients in the eye when they’re talking, use affirmatory body language, and respond with phrases like, “so what I hear you saying,” or something that reiterates what the patient has said. Healthcare providers should also show empathy, especially during examinations. Patients are more likely to feel understood if their physician engages with them on an emotional level, which can be as simple as affirming patients’ struggles. Unfortunately, when patients have a bad experience with their care provider by feeling unheard and misunderstood, their problems can be further compounded if they aren’t provided with helpful resources. The problem isn’t a lack of materials available from care providers. There’s a disconnect between patient and provider that stems from a lack of understanding. If patients’ needs are not understood, they won’t be given the right resources they need. Solutions for this common complaint are also tied to listening and understanding what patients are struggling with. If providers understand their patients’ issues, they’ll be able to offer the right resources, which will make patients feel even more understood and cared for. Highlighting information patients should pay attention to in healthcare resources will reiterate providers’ expertise give guidance to patients. Healthcare providers can go above and beyond by creating their own resources such as blogs or brochures, or they can hire a team like PatientX to help them do it. The fourth most common patient complaint pertains to billing. Patients are regularly confused by the bills they receive for their care, which is unsurprising, since insurance and the financials of the healthcare industry are a confusing web of legalistic fine print. Billing should be effective and use clear communication, because patients want their bills to be simple. Rather than sending multiple bills with confusing language, send one bill that simply and clearly communicates what they need to know. Communicating with patients before their appointment about what their expectant costs should be is also important. And, finally, make it easy for patients to pay their bills. Offer several ways for patients to pay their bill, and list those options clearly for them on their statement. It should be encouraging for healthcare providers that the four most common patient complaints can be remedied through a variety of similar solutions. Practicing clearer, more effective communication can make patients feel understood, and it can make operations more efficient, since mistakes and mishaps are often avoided through better communication. The patient experience can improve by placing more emphasis on respecting and valuing patients, communicating effectively with them, and cultivating a culture in the healthcare industry that is concerned with creating better experiences for patients. The patient experience can be better, and it needs to be better, for the sake of patients’ quality of care and the growth and success of the healthcare industry. 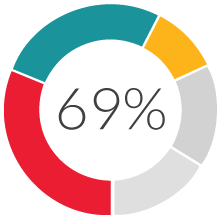 Improving patient experience should be a top goal as a healthcare marketer. By doing this you can contribute to the patient’s experience and their opinion of their provider and the facility. In the healthcare industry, success and quality of care is dependent on providing an excellent patient experience. Unfortunately, patients often have similar complaints about their experiences with healthcare. 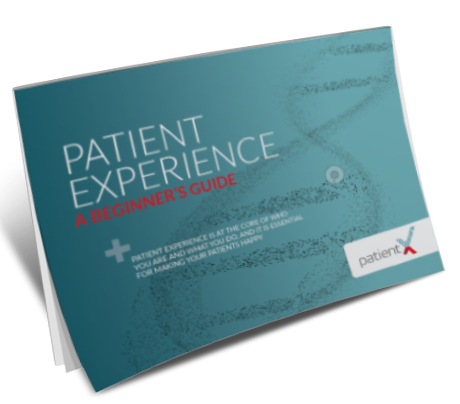 Our team at PatientX identified four common complaints amongst patients and came up with solutions that can help improve those areas. Michael is the CEO of PatientX, a fast-growing healthcare marketing and branding firm. PatientX strategically develops digital innovations and strategic ideas to encourage patients to view their healthcare providers with a fresh, forward-thinking perspective, and, thus, to nurture better relationships between patient and provider. In his role as CEO, Michael takes great pleasure in helping healthcare providers and healthcare B2B clients with the unique challenges they face. With over 15 years in his field, Michael is no stranger to the challenges one faces in marketing and branding, and he is able to draw from his deep well of experience to deliver optimal strategies and solutions. We’re Hiring a Digital Strategist!